Originally published in 77 TUL. L. REV. 91 (2002). 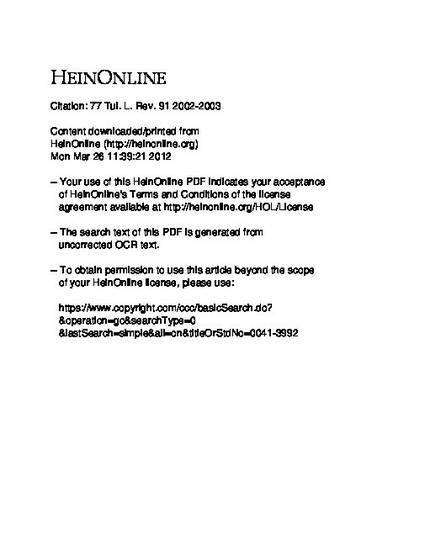 Reprinted with the permission of the Tulane Law Review Association, which holds the copyright.